SunExpress is to introduce “Electronic Flight Bag (EFB) Class II”, Portable EFB system, securing its place in the digitalized world. 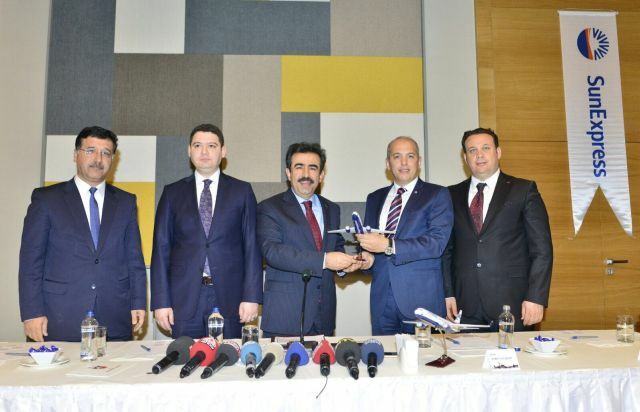 The new EFB system tested with the first flight on February 15 and will be actively used on all SunExpress flights as of March 5th with the first flight performed in Antalya. In so doing, the airline will enable its flight crew to perform its flight management tasks more efficiently and with less paper. The EFB project, which is the second largest project in the SunExpress’ history with a budget of 5 Million Euros, aims to enable pilots to access documents at every phase of flight with an advanced library of software. It will eliminate paper with a digitalized flight plan and navigational charts, while increasing flight safety with enhanced flight data acquisition and real-time data flow. It will also allow for access to sensitive data for fuel efficiency, as well as keep devices of pilots up-to-date, thanks to 4G connections. Promising to deliver effective benefits for the environment by saving the use of 4.5 million pages as a result of the digitalization of flight plans and navigation maps, EFB project will also provide operational and financial advantages for SunExpress.